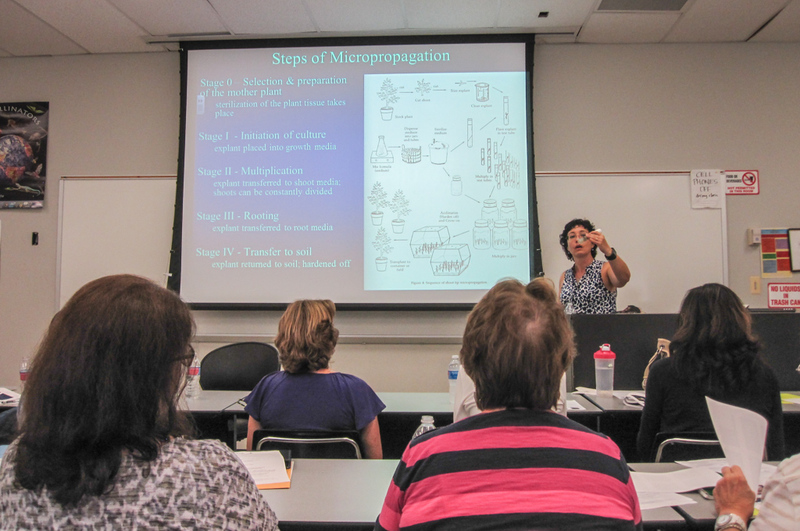 Many of our GCMGA members attended MGEV Advanced Training held at Gwinnett Tech College on July 20, 2015. Bodie Pennisi, Extension Horticulturist at UGA, taught the group talking about seed, vegetative and tissue culture propagation. The class started in the classroom and moved later in the greenhouse. In the greenhouse, Dario Chavez demonstrated grafting and budding. Students then were able to try some hands on training after the instruction.